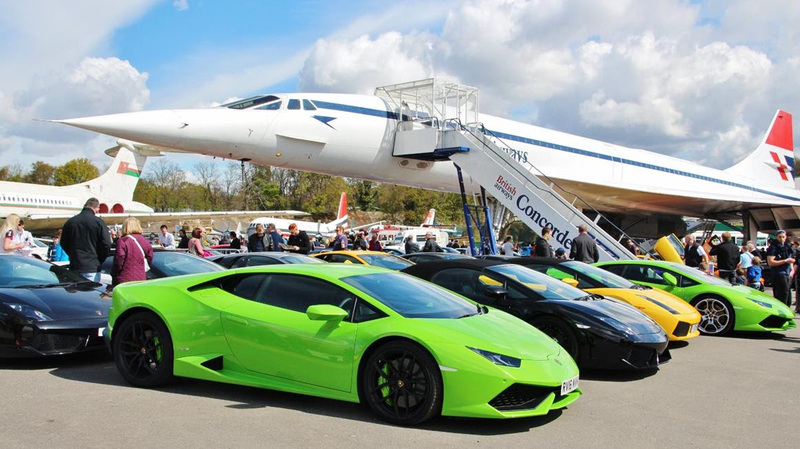 “All things Italian” is the focus of the annual Italian Car Day on Saturday 29th April at Brooklands Museum, in association with Auto Italia magazine. A live demonstration of a 1951 OSCA–Maserati once driven by Prince Bira will be just one of the highlights at the 25th annual Italian Car Day to be held at Brooklands Museum in association with Auto Italia magazine on Saturday 29th April. One of the biggest events in the Museum’s calendar, this celebration of all things Italian will fill every square inch of the 32-acre site, with over 1,200 Italian cars and motorcycles of all ages expected, along with numerous traders. Visitors can not only expect to see some of the finest examples around of Ferrari, Lamborghini, Maserati, Alfa Romeo, Lancia and Fiat vehicles on display – they will also see and hear many of them in action on the circuit at Mercedes-Benz World and on the famous Brooklands Test Hill. Prince Birabongse Bhanudej of Siam, better known by his racing nom-de-plume B Bira, was one of the most prominent and successful Brooklands racing drivers in the 1930s. In October 1948 he came fifth in the opening race at the new Silverstone track, the first British Grand Prix since the 1927 event at Brooklands, driving a new Maserati 4CLT/48. This car reappeared in the spring of 1951 as the new OSCA-Maserati, fitted by the Maserati brothers with their V12 un-supercharged engine and new body onto the 4CLT/48 chassis. On its very first appearance, at the Easter Monday meeting at Goodwood on March 26th 1951, Bira won the Richmond Trophy race for Formula One cars, and set a new lap record. The OSCA-Maserati is currently on loan to Brooklands Museum, and at 12 noon will be one of the selected vehicles to reveal their power and performance by taking laps of the twisting circuit at neighbouring Mercedes-Benz World. Visitors can cross over to the dedicated viewing areas on the Mercedes-Benz World site and see and hear how these cars were meant to be driven. In the afternoon at 2.45pm, back on the Museum site, spectators will line both sides of the famous Test Hill to watch the crowd-pleasing ascents which are one the highlights of the day. As well as the rows of gleaming supercars and other Italian exotica the organisers have laid on extra catering outlets and an extensive trade village with vendors selling models, spares and collectables. Visitors will also see progress on the restoration of the soon-to-be-reopened Finishing Straight which forms part of the original Race Track at Brooklands which opened in June 1907 and was the world’s first purpose-built racing circuit. This has been a milestone in the ongoing £8.1M Heritage Lottery Fund-supported Re-Engineering Project which has also seen the relocation and restoration of the WWII Bellman Hangar due to open later this year as the Brooklands Aircraft Factory. The Museum’s own outstanding motoring and aviation displays will be open as usual, including the Concorde Experience, 4D Theatre rides (extra charges apply) and an F1 Simulator. Entry for this event starts at £13 for adults if purchased in advance or £16 on the day, with family tickets at £35 in advance or £40 on the day. Advance tickets are available online from www.brooklandsmuseum.com/tickets and from the Museum Shop in person until April 28th.